OAKLAND — The trial of Devaughndre Broussard, charged with the August 2007 murder of journalist Chauncey Bailey, is unlikely to begin until late March, it was decided Friday. Broussard’s attorney, LeRue Grim, said during a brief appearance in Superior Court that he was not yet prepared for trial and asked the scheduling of one be postponed. Judge Joseph Hurley set another hearing for Jan. 30. “Hopefully, we set a trail date at that time,” Hurley said. Prosecutor Christopher Lamiero did not object. 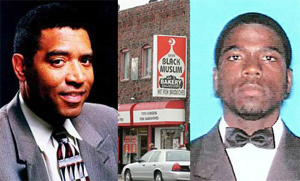 Broussard, who was working as handyman at the now defunct Your Black Muslim Bakery, stands accused of gunning down Bailey on Aug. 2, 2007. He recanted a confession he now says was false to protect bakery leader Yusuf Bey IV. Broussard is the only person charged in the Bailey case. Bey IV is jailed awaiting trial in an unrelated kidnapping and torture case for which he and three co-defendants face life sentences if convicted. They are also expected to stand trial later this year.